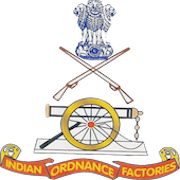 Online Application Details for Indian Ordnance Factories Ordnance Cable Factory Recruitment of 7 Fitter and 3 Machinist is given below. Application form and duly attested documents are to be sent to Sr. General Manager, Ordnance Cable Factory, 183 Industrial Area Phase-I, Chandigarh -160002. In envelope super scribed with 'Application for the Post of Post Name'.